Follow the progress of the REVOLUTION Campaign! For the latest updates on fundraising, construction, photos, and more – stay current through the Revolution blog! In cooperation with Dominican non-profit partner ACPSI (The Christian Association for the Promotion of Integrated Health), SRI is constructing a new non-profit clinic that will fulfill our original vision of serving the poorest of the poor while providing opportunities to expand available services to the southwestern region of the Dominican Republic. We believe the new clinic will be a REVOLUTION for the community, but we cannot do this without the prayers, participation, and sacrificial financial giving from people like you. Please consider how you can be a part of this project as we prepare to watch God work and move to provide for its completion. Your involvement will make a difference! The Christian Clinic for Integrated Health in San Juan de la Maguana faced disastrous flooding from Hurricane George in 1998. The entire clinic was covered by over five feet of water that severely damaged the structure and property. 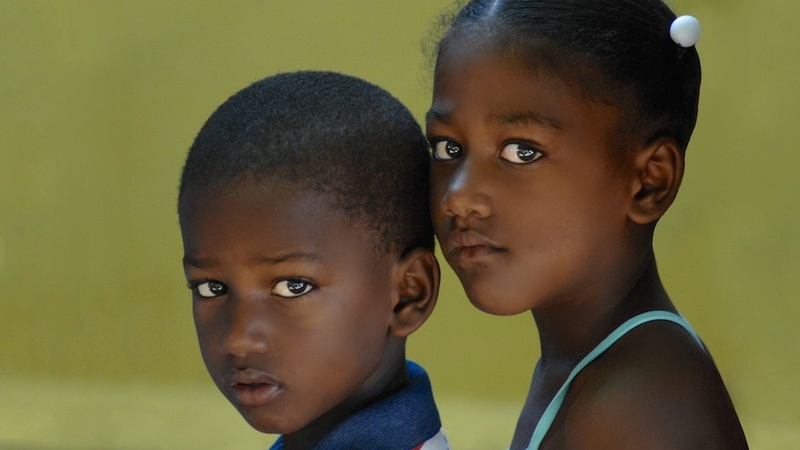 Additionally, the southern region of the Dominican Republic lacks reasonable access to medical testing services. The average Dominican lives in poverty without the means to travel a great distance for healthcare. Many tests are only offered in the capital city of Santo Domingo. Access to medical care is something that can be easily taken for granted. In the Dominican Republic, good healthcare is not only difficult to be found, but it more often than not denied to the poor. As told by Nerayda in the video above, she was turned away by the man giving tickets at the door because she looked poor. He was not a doctor, but he used his higher status to deny Nerayda the chance to see a doctor for an operation that was needed to save her life. 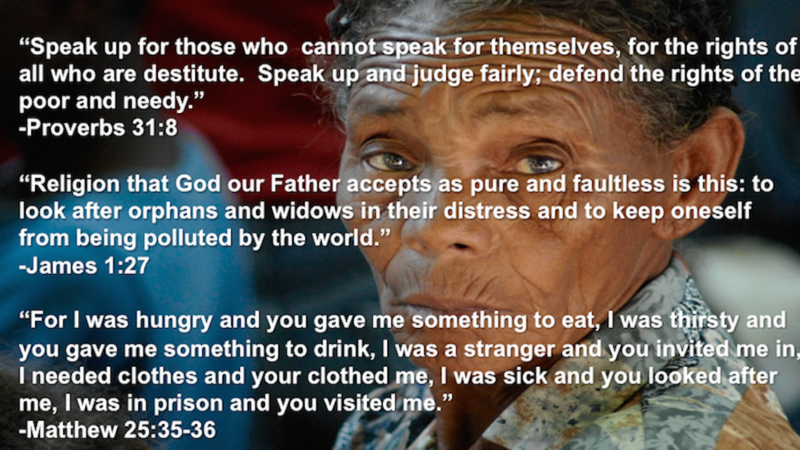 We believe God has not just suggested, but has commanded us in Proverbs 31 as Christians to defend the cause of the poor. James 1 says we are to look after the orphan and widow in their distress. In Matthew 25 Jesus said that whatever is done for the least of these, we do unto Him. We believe in these commands, and it is for that reason we desire to express the need for this clinic project and to give voice for those who cannot speak for themselves. This is SRI’s biggest project yet, but we trust that God will provide. The vision is big, but we believe that if your vision doesn’t scare you, then God probably isn’t in it. 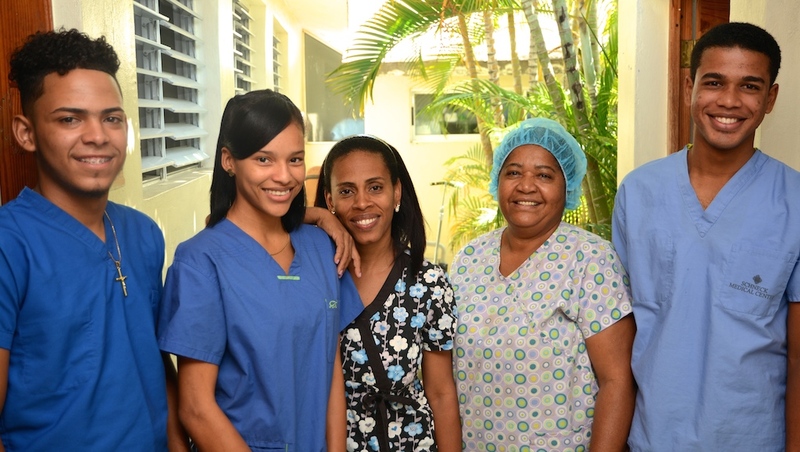 With the help of our Dominican non-profit partner ACPSI, volunteers from across North America and the Dominican Republic, and the faithful giving of donors, we will be able to revolutionize healthcare in the Dominican Republic. 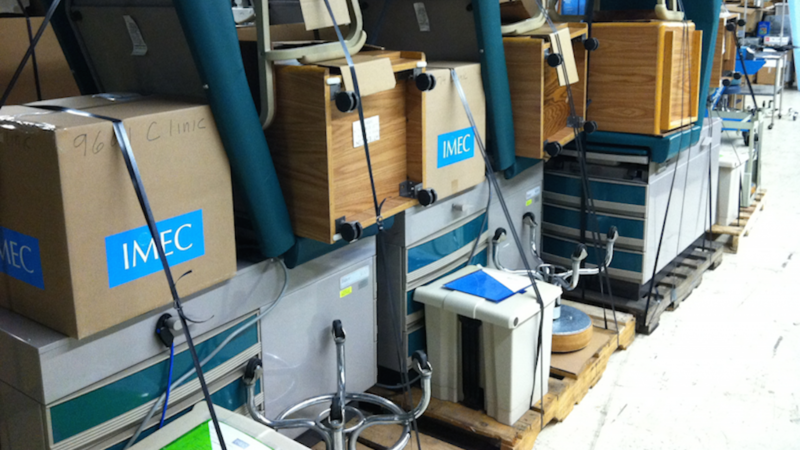 SRI is partnering with International Medical Equipment Collaborative (IMEC), an organization that collects donated surplus medical equipment, supplies, and hospital furnishings to provide equipment solutions for healthcare projects in developing countries. 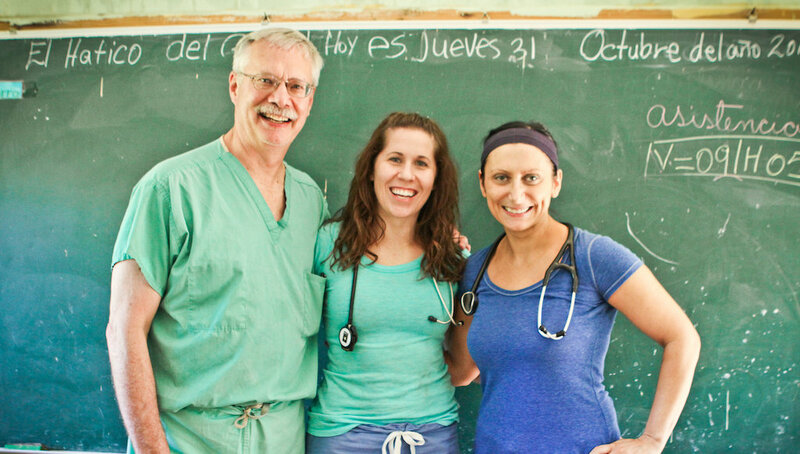 IMEC’s mission in health care is to provide doctors and nurses in impoverished communities with the tools they need to advance the standard of care for their nation’s poor. IMEC works with humanitarian partners to provide desperately needed equipment and supplies to both revitalize existing facilities and equip newly constructed facilities. After carefully refurbishing and testing donated equipment to ensure quality, suites are designed and packaged based of specific project needs. All details are taken care of as IMEC then delivers and unpacks each suite to the site. Additionally, once a suite arrives on location, IMEC’s biomedical program provides use and maintenance training for local staff to ensure long-term sustainability of the equipment. Since 1995, IMEC has outfitted over 800 clinics in over 90 countries around the world with projects ranging from a two-room clinic in Africa to a state-of-the-art, Harvard-affiliated 320 bed teaching hospital in Haiti. 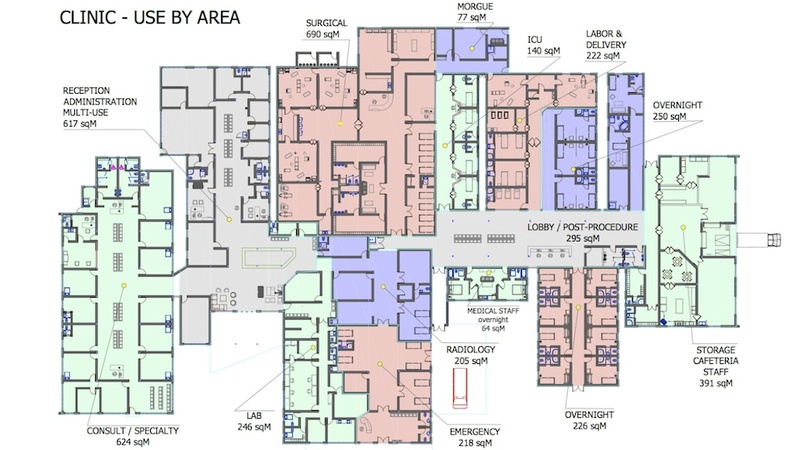 Through partnership with IMEC, $4.25 million worth of equipment will be provided for the new clinic for no more than $650,000. Read our detailed plan developed by the previous clinic administrator and SRI treasurer along with previous SRI president and CPA. Currently, the clinic is supported at 18%. Our goal is for the clinic to be self-sustaining after five years of operation. The Business Forecast demonstrates how we hope this will be possible. PRAY – We covet your prayers for this project! Pray for the safety of construction teams on the job site and for our ongoing financial needs to complete the budget. Pray for the lives that will be touched for years to come and ask that God will use the clinic as an incredible tool to reach and help the lost in the San Juan region. SERVE – Join a construction team! Lead a construction team! We have a great need for laborers right now and would love to have you and your friends, family, church, and co-workers get some hands-on involvement! SHARE – Help spread the word! If you believe in the importance of the REVOLUTION, please share it with your friends and family! Social media is a great way to do this. Please “Like” and share the Solid Rock International Facebook posts and pictures to help spread awareness to as many as possible! GIVE – Consider how you and your family can sacrificially give financially to the project in the form of a one-time donation or pledge to help us complete the project budget! You can give online, over the phone (419-956-4077), or by sending a check to: Solid Rock International | PO Box 20867 | Indianapolis, IN 46220. To express our gratitude for your gift, donations of $3,600 or more will be recognized with the donor’s name listed on the clinic lobby wall. Donations of over $50,000 qualify for room naming. If you meet this requirement, a SRI representative will contact you for more information. Our office is available to discuss gifts of stocks, bonds, and assets. 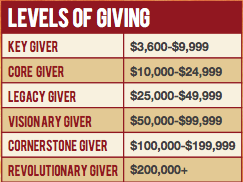 All gifts are tax deductible. In order to be good stewards of funding, we suggest donations above $500 be sent in the form of a check (including automatic checks from your bank) to avoid the 3% processing fee.